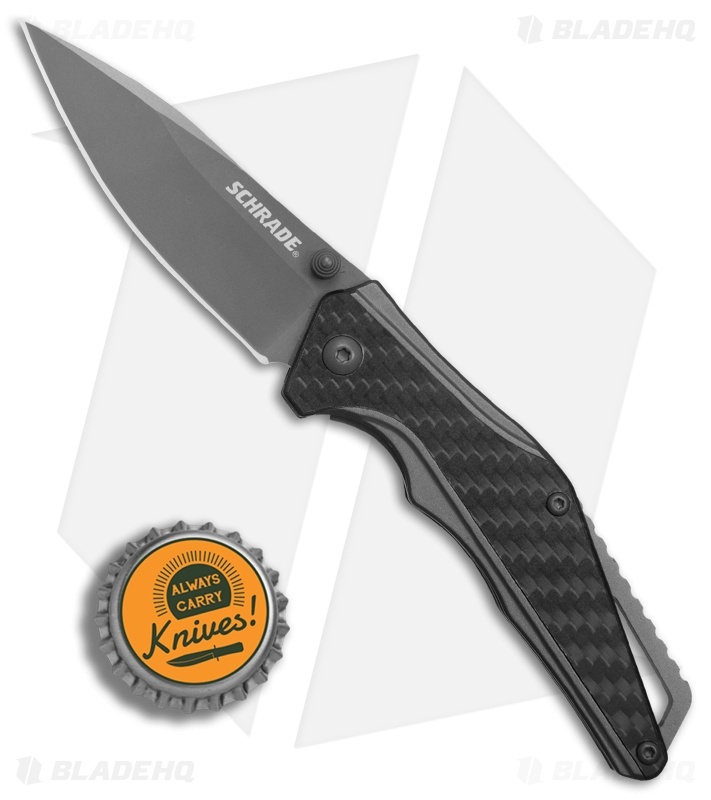 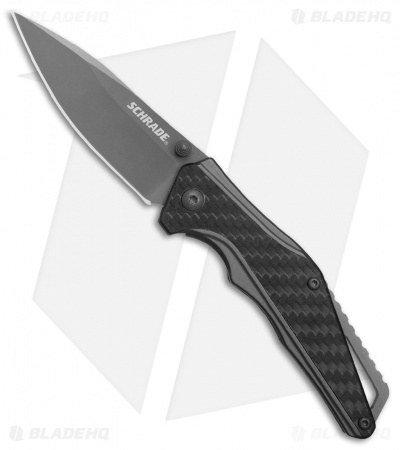 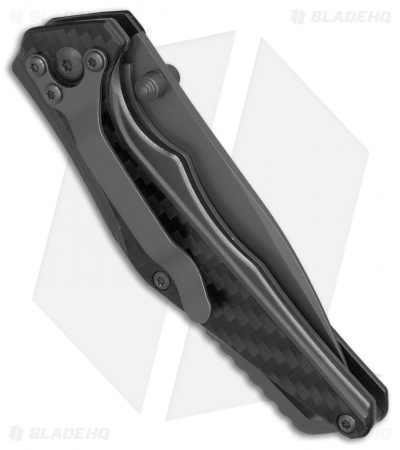 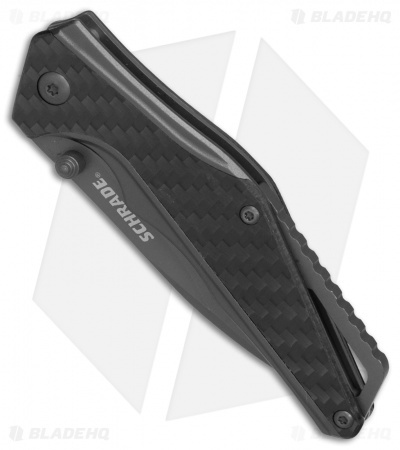 This Schrade folding model is outfitted with an aluminum/carbon fiber handle and a gray coated stainless steel blade for durable EDC use. Aluminum handle with a carbon fiber overlay for a lightweight build and a comfortable grip. Item includes a stainless steel pocket clip and a backspacer/lanyard loop. Stainless steel liner lock offers secure blade lock up.